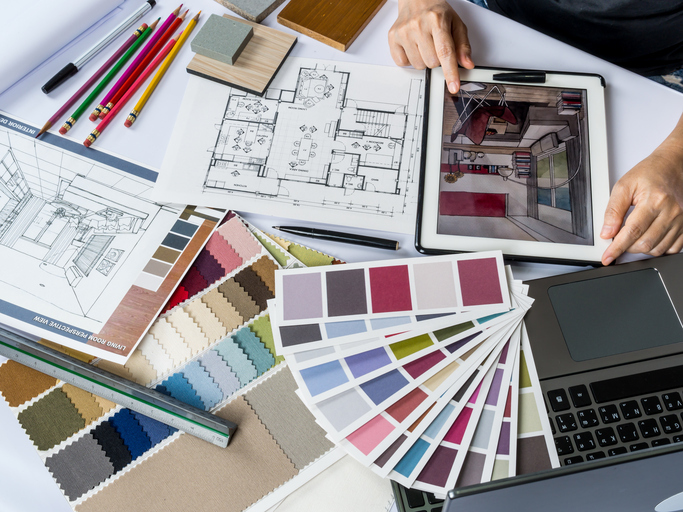 At Parks, we have a strong passion for everything interiors-related – and we love chatting with professionals tasked with bringing homes to life and bloggers who obsess over the finer details of décor. So, we recently got in touch with the lovely Victoria, interior stylist and editor of décor and design blog, Apartment Number 4. We chatted away about how she first got involved in interior design, what drives her passions and what keeps her interested season after season, year after year. Read on for a little insight into Victoria’s inspirations and the décor trends which are getting her all excited this year. Hi Victoria, thanks for taking the time to talk to us. Firstly, we’d like to know what inspired you to launch Apartment Number 4 back in 2009? Thank you so much for having me! I started blogging back in 2009 when my university tutor asked if the classroom knew what a blog was. Not a single person on my journalism course had one. Little did we know what an impact blogging would have on the landscape, both on and offline. It started life as a fashion blog, but as the years passed and my tastes developed, I found a love for homeware and Apartment Number 4 as you know it today was born. When did you realise you had a passion for interior design? What inspired the design bug? I remember telling my parents aged 10 that I was going to become an interior designer, and as my first challenge they let me decorate my bedroom. Out came the Argos catalogue and I got to work creating a blue and cream colour scheme – complete with wallpaper border around the room. As the years went on, I decided to go down the route of becoming a journalist and I worked as the editor of a menswear magazine for eight years. Alongside this, I was fuelling my love for interiors by running Apartment Number 4 as a side hustle and in March of this year, I took the leap into running it as a fulltime business. The rest they say is history. 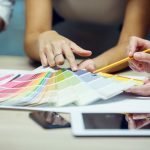 In the ever-changing and ever-evolving world of interior design, do you try to follow the latest trends, or do you prefer to follow your own path? The ethos behind Apartment Number 4 is to create a beautiful home on a budget, so a lot of items that I feature are trend-led pieces from the high street. However, I have a distinct style both on the blog and in my own home which lends itself more to feminine-luxe décor. I try to steer clear of oversaturated trends – copper and pineapples, I’m talking about you – and look for pieces that grab my attention or have a story behind them. And do you find yourself looking for design inspiration? Or is it something that happens a lot more organically? I’m constantly looking for inspiration. 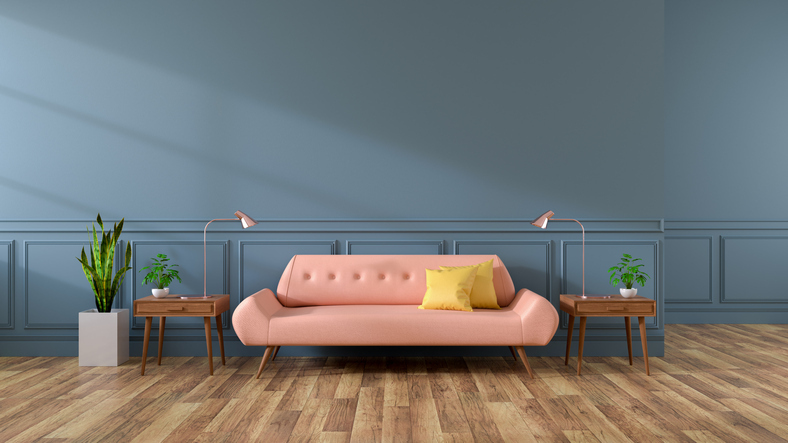 Whether that’s in friends’ houses or on Instagram, Pinterest or other interior design blogs – I find examples of design that I love almost every day. I’m still a huge fan of buying glossy magazines and sitting down to tear out great ideas for my scrapbooks – old school, I know. What designs, styles and movements are currently exciting you? I’ve written about this previously over on Apartment Number 4, but I love the evolution of Scandinavian design and how it’s now being teamed with Californian influences. I love the use of natural woods, bohemian elements, lots of texture, neutral tones. It creates a very relaxed environment to live in. You mention your belief that a happy home feeds a happy mind. What do you believe are the four pillars of creating a happy home? Warmth – in the sense of a warm, inviting home, always having teabags in, having somewhere for friends to sit. Comfort – this is the first priority when it comes to purchasing a piece of furniture such as a mattress or sofa. 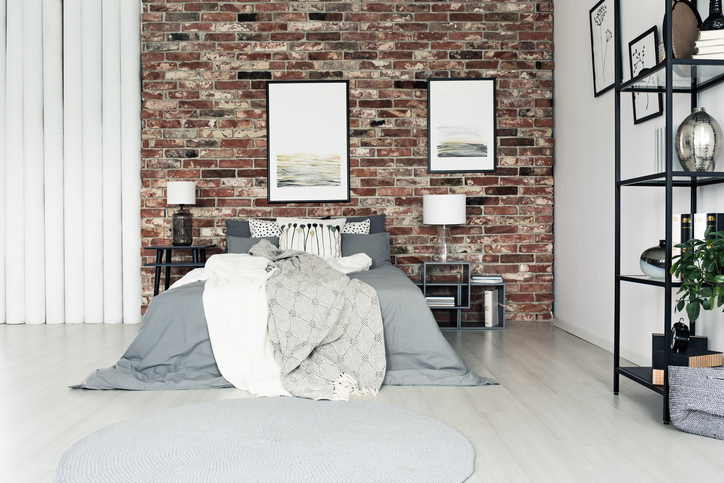 Personality – your home should have ‘you’ stamped throughout, even if you’re living in a rental. Add photographs, treasure collected while travelling, your favourite books, etc. Laughter – try to fill the house with laughter at least once a day, whether that’s a phone call to a friend or inviting family for dinner. It’s good for the soul of the house. 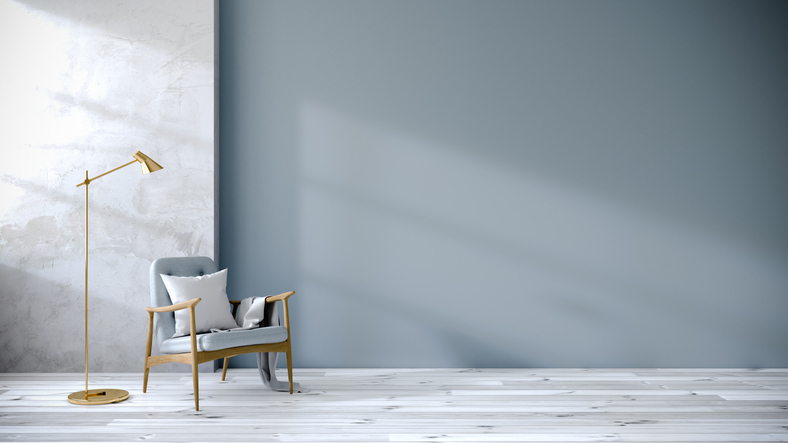 For people with busy working lives and extensive family commitments, could you provide any tips to help them keep their homes beautiful and happy? It’s all in the details. Faux flowers throughout the house, for example, are perfect for time-starved people with a tendency (like me) to kill plants. If you’re struggling to find time to decorate a room, add colour and interest through soft furnishings such as cushions and throws, and, of course, don’t underestimate the power of a room scent whether that’s a candle or a diffuser – it can instantly change the feel of a room. And finally, away from interiors, are you a believer in any other practices and techniques to promote a positive mindset, happiness and mental wellness? I actually practice the rules behind the Law of Attraction after reading the book, The Secret. Although I feel like I’d need a whole other interview to explain the process behind it, the basis is, positivity breeds positivity. I start my day with meditation, followed by visualisation of how I want the day to pan out, and I end the day by writing down three things I’m grateful for. I also have a vision board which I update four times a year with things I want to achieve, such as career goals, personal achievements, places I’d like to travel to, etc. I can’t tell you the difference having that focus makes to my life. Having a positive attitude changes the way you live completely. We’d like to thank Victoria for taking part in this very insightful chat. 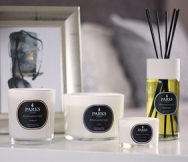 If Victoria has inspired you to give your interiors a little love, head over to the Parks homepage for a great range of delightful candles and diffusers.